Want to Upgrade Your Mix? 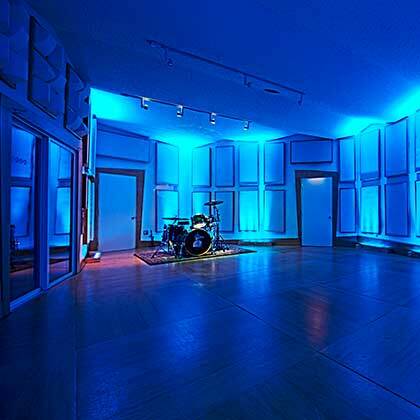 Empire Sound Studio offers a variety of "Mixing Services". Want extra enhancements or just not happy with your mix from another studio? Empire Sound will deliver the results you want! Let us give your recording the Pro Mix with the world famous SSL Mixing or our Classic Neve console with Pro tools HD. Empire Sound Studio features a 48-input SSL E/G+ Console. The SSL 4000 series is known for its clean punchy sound. Are you looking for that “National Sound”? If you want your project to be created on the console that 95% of all #1 albums are mixed on this is the place, The SSL control room features the best in modern and vintage outboard equipment, Empire sound also has a large collection of vintage and modern microphones. The SSL Tracking Room is over 1000sf and it has 3 spacious Isolation rooms. Empire Sound Studio features a 48-input SSL E/G+ Console The SSL 4000 series is known for its clean punchy sound. Are you looking for that “National Sound”? If you want your project to be created on the console that 95% of all #1 albums are mixed on this is the place, The SSL control room features the best in modern and vintage outboard equipment, Empire sound also has a large collection of vintage and modern microphones. The SSL Tracking Room is over 1000sf and it has 3 spacious Isolation rooms. Our legendary SSL board comes to us from Sheffield Studios where it recorded and mixed gold and platinum records for: Aerosmith, Elton John, Sting, Dave Mathews Band, Cheryl Crow, Blues Traveler, Bruce Springsteen and Primus, to name but just a few. The SSL 4000 series is known for its clean punchy sound. Are you looking for that “National Sound”? If you want your project to be created on the console that 95% of all #1 albums are mixed on, then Empire Sound Studio is your recording studio. In addition to this, we offer a variety of “Mixing Services”. If you’re not happy with your mix from another studio, ESS will fix it! Are you a DIY kind of band and a “friend who thought he knew what he was doing” didn’t know much about home recording after all? Let us give your recording the Pro Mix with the world famous SSL Mixing console with Pro tools HD. *Flat rate packages available with mastering included.